Not till after the break? Why a lack of process hurts your investments. Financial advisers tend to hate holidays. Not because we are irredeemable workaholics (although I know a few who are). It is because people use them as an excuse to delay making a decision. Can we talk after the Summer/Chinese New Year/Christmas/Mid Autumn festival? The Chinese system little holidays almost every month, so they act as an enabler for the excuse finding expatriate. The excuses are used because making a decision is important and potentially complicated, so it uses lots of brain power. It’s hard work, so we put it off to another day. But what is the result? Usually wasted opportunities, and then finally poor rushed ‘gut based’ decisions. Is that a rational approach? Are you logical and business-like when it comes to your finances? Probably not. I know we haven’t met, but I’m pretty confident in my guess. I’d put money on it. I’d say there is a less than 10% chance you are. This is based on discussions with hundreds, possibly thousands of people over the last 10 years. In fact I’d say less than a 5% chance since I can only think of two clients I’ve ever met that were methodical, rational and organized. My gosh, weren’t they great to work with! But shouldn’t you be logical and business-like when it comes to your money? Otherwise, what is the point of all that hard slog at work? You don’t need a finance brain, just a system of making decisions. A schedule with actions to complete, space blocked in your schedule and deadlines for achieving things. Just like at work. It’s more important than work after all, since it is one of the main reasons you bother to go to work. So over winter whilst you are inside escaping the cold weather. Have a look at your finances too and consider your situation, outlook and general approach. Do you have good money management habits? 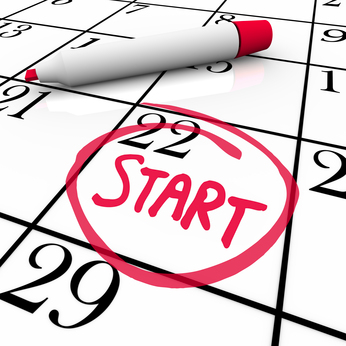 Do you have an action plan and a regular review schedule? Just like you schedule your holiday, you should schedule how you handle your money. Set aside once per quarter for 2 hours to review your situation. Twice per year you should have an in depth review to not just look at your portfolio, but also to reconsider your goals, progress and draft and action plan, since things always change. We will have more on this topic soon. But the first step is to prioritize managing your affairs properly, and develop a regular time in your schedule. Once you block regular time, then you can start considering your options and making decisions with a process. More on building a proper plan soon. The first step is to get started.